“The Friendly Races” is the well-earned nickname of the Southern 100 Road Races. Held every July on the fast and extreme Billown Course, the Southern 100 attracts some of the biggest names in both solo and sidecar road racing and an ever-increasing number of fans are discovering the virtues of the course, the epic racing and the friendly atmosphere of Castletown’s pubs, cafes, restaurants and miles of hedges from where to watch the action for free. 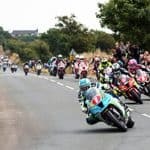 A 5 night race break to the Southern 100 road races including foot passenger sailings plus accommodation close to the circuit. 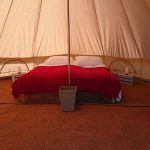 A 5 night break to the Southern 100 including motorbike sailings and glamping accommodation.